Most people are generally in search of great experiences and daily expect positive things to happen in their lives. Some of us are looking for miraculous things to occur. And still, others may be looking for something spectacular. We often search for the spectacular in a variety of places. We search for it through high profile people or people we feel have mastered specific talents. We also search for greatness through social media or television. Most of us fail to realize that each of us possess the ability to make a difference in other’s lives. Greatness is often not what we perceive and indeed can be distorted by our own views and how we perceive certain things. This definition of what greatness is has been defined for us from the scripture…the greatest among us is the servant of all. This certainly bring clarity to what greatness is and how we can experience it. We have the tendency to believe that greatness is achieved by accomplishments, accolades, and degrees. And we certainly should minimize those. However, we surely want to interpret what greatness is as defined through the Word of God. Greatness is on display by those who serve others. 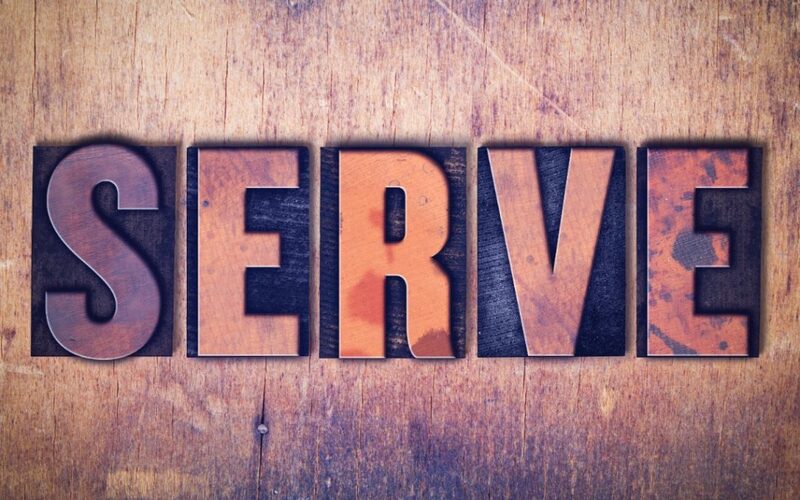 Serving is defined as; the desire to contribute to others by performing a duty or act of service. Notice the word “contribute.’ We miss the hidden power of contributing to others. The 6th highest need in a human’s life is contribution. God knew that one of our grandest needs was to give and to serve others. Some psychologists call a “helpers high” occurs when we step up to serve and make a contribution to others. In our body we have something called endorphins. These endorphins are released during certain activities. When we serve these endorphins are released in our bodies and enhance our mood, attitude, and emotional makeup. Psychologists compare this to a runner’s high after running 3-5 miles or more. The point is God that created us knowing our greatest need is to serve rather than being served. Contributing to others may be one of the most overlooked actions we can take as an individual. Serving is like eating your personal vegetables. Serving others is laced with hidden power and remarkable unseen benefits. Bernard Melzer wisely said; there is no better exercise for the heart than reaching down and helping others. Serving is rarely convenient and often seems menial. The scripture is full of menial acts that brought forth monumental results. Things like a little boy’s lunch of 7 loaves and 2 fish that fed over 5,000 people. A widow gave a mite for a temple donation and Jesus said it was a sacrificial gift because it was all she had. What looks menial to the eye is often monumental from the heart. When we choose to serve, we position ourselves for change and newness. Becoming a new volunteer in a church or organisation brings changes to your life. These changes position you to meet new friends and share in new experiences. These changes force you to break out of an old routine and into new things. New opportunities to serve align you to new relationships. These new relationships are keys to your next level and the next season of life. Your willingness to volunteer was the step to discovering new friends and having fresh opportunities. And there’s more. Some people can never be reached for Christ without being served, and you are that angel on assignment. Always remember; serving requires no degrees, no accolades and no definable skills, only a willing heart. Let’s decide we are that “somebody” who answers the call to SERVE!